Know the side effects of Ambien sleep medication. Knowing about Ambien side effects will help you recognize if you are experiencing an allergic reaction or dependency as well as whether you should consult your doctor. 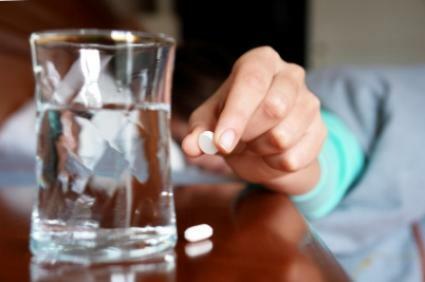 Ambien is a popular sleep medication, and most people do not experience adverse side effects that prevent them from continuing to use the drug. Some people have minor or severe side effects that greatly affect their daily activities. The following are a list of some of the most and least severe Ambien side effects. These reactions may not be strong enough to affect daily activities, but if they do become bothersome to you, consult your doctor. If you experience any of the following, discontinue use of the medication and call for medical attention immediately. Ambien medication has a high risk of dependency. There is usually a psychological and physical dependence to this drug. Psychologically, you may feel that you need this medication to help you sleep at night, and if you don't take it, you will have insomnia. This creates a self-fulfilling prophecy that means if you think you can't sleep, you won't be able to. Ambien creates a physical dependency as well because your body builds up a tolerance, and you will have to take more to achieve the same benefits from it. In addition, if you decide to lower your dose or discontinue the drug, your body will go through withdrawal symptoms making you believe you need to take it to feel normal. The best way to avoid Ambien adverse reactions is to use the medication as needed. If you experience insomnia or have trouble falling asleep occasionally, you should only use it during times you absolutely need it. This will cut down on side effects because your body will usually react to a drug if it has been in your system for a few days. If you have chronic insomnia and need to take Ambien regularly, only take the dosage your doctor recommends. Taking low doses of the drug will lower your risk for dependency as well as adverse side effects. If this low dose does not work as well as it did when you first started, speak to your doctor before increasing your dosage. If you have been addicted to drugs before or have a dependency on Ambien, you may want to talk to your doctor about taking another type of sleep medication. Sleep medications are widely available on the market today and some do not have the addictive qualities this one has or the risk of serious side effects. When taking addictive medication, pay attention to your reaction to it. It's better to be cautious than to let yourself get in trouble. Let a friend or family member help you by letting him or her know you are starting this medication. Your loved one can let you know if he or she notices anything out of the ordinary, so you can contact your doctor.